Ranks, roles and jobs :: Great War Dundee - This is the story of the 30,490 men that left Dundee to fight in the First World War and of the people left at home. The First World War resulted in many different experiences and societal changes. At the front both men and women experienced the war through a variety of roles. For men, their experiences were often dependent on their rank, role and whether they had joined the Army, Navy or Royal Air Force. The vast majority of those that served at the front were part of the Army but the Navy and, from April 1918, the Royal Air Force also enlisted men that served at the front. Officers had the responsibility of organising the enlisted men and to ensure orders from the High Command were carried out. On the frontline they would lead patrols and attacks on the enemy. When not on the frontline, officers ensured that the men were ready and healthy and this was achieved through routines of work, rest and recreation. For the enlisted men this meant that they were never idle and often had to take part in demanding physical labour. The men often found themselves living outside for days or weeks on end, with limited shelter from the elements. Artillery fire often destroyed the landscape for miles behind the frontlines and the incessant noise created stresses for those that were behind the frontlines. Women too, played a pivotal role at the front, where thousands served in the military in support roles. Thousands of women volunteered and served in non-combatant roles such as nursing, cookery, mechanical and clerical. 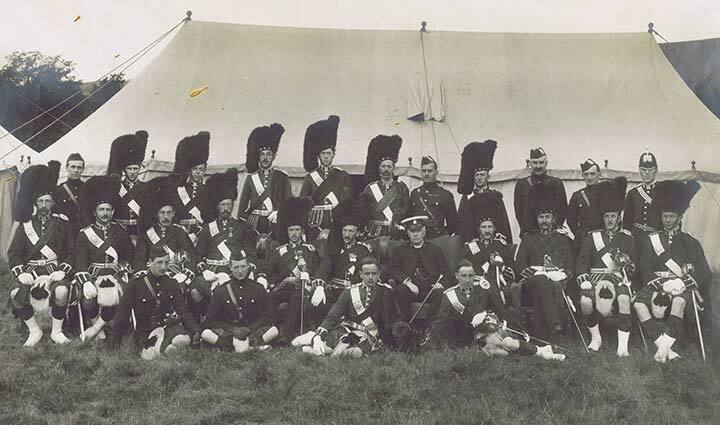 Officers of the 5th Black Watch at Monzie Camp, August 1914. Picture credit: John Anderson... courtesy of University of Dundee Archive Services. 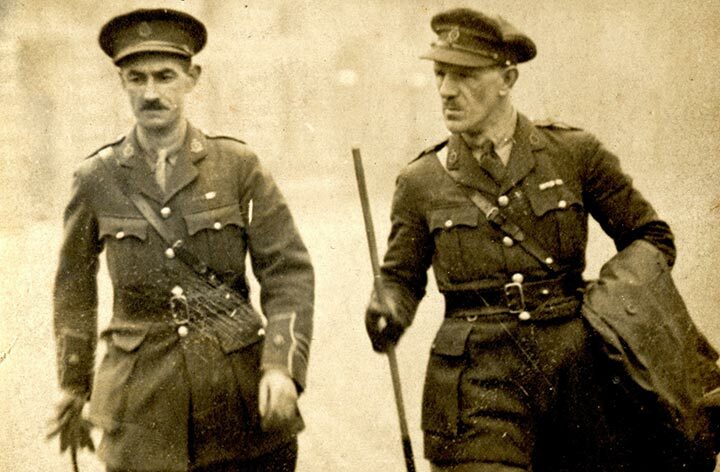 Officers of the 5th Black Watch... courtesy of The Black Watch Museum.